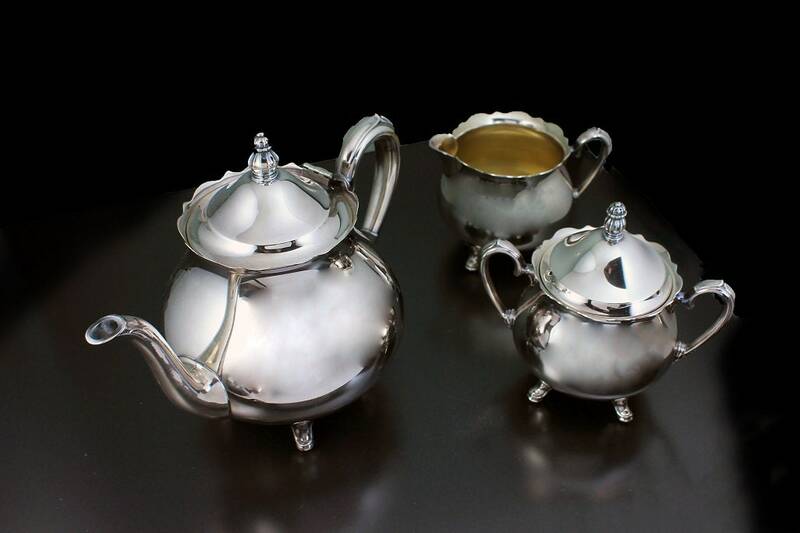 This is a gorgeous silver plated tea set from Oneida. 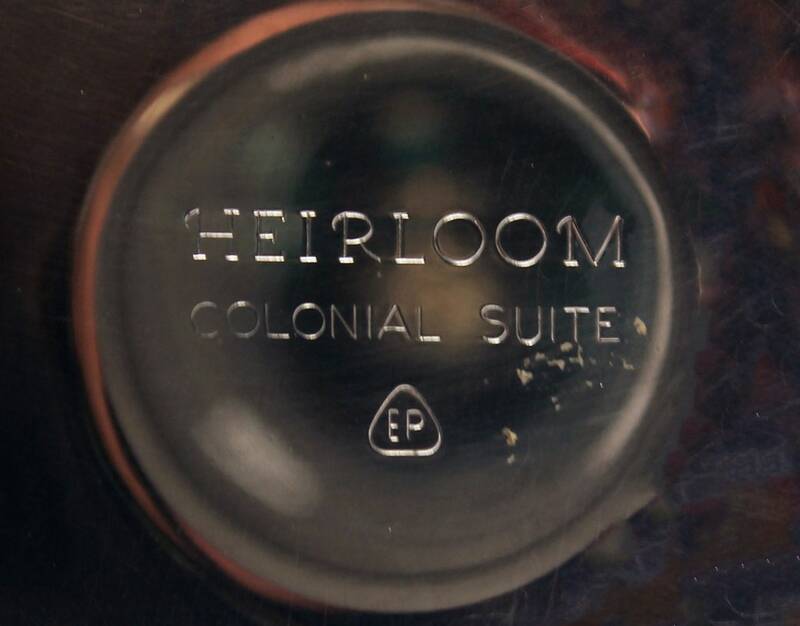 The pattern name is Heirloom Colonial Suite. 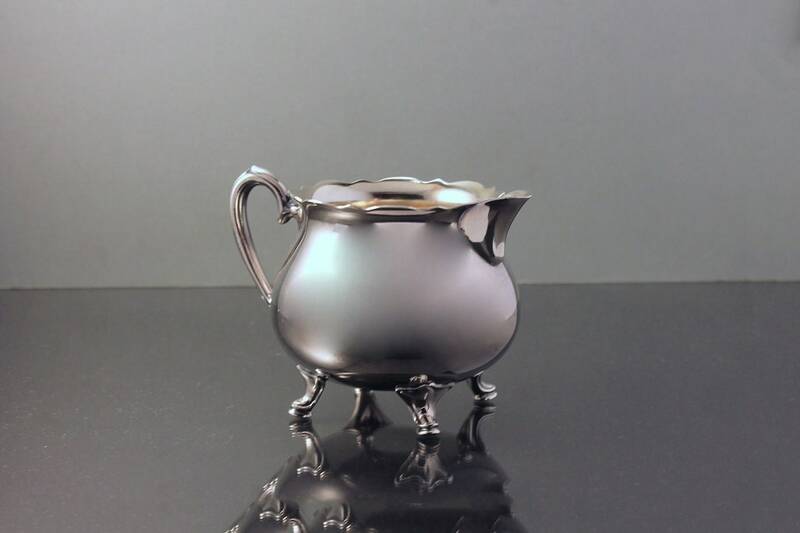 This piece is silver plate. 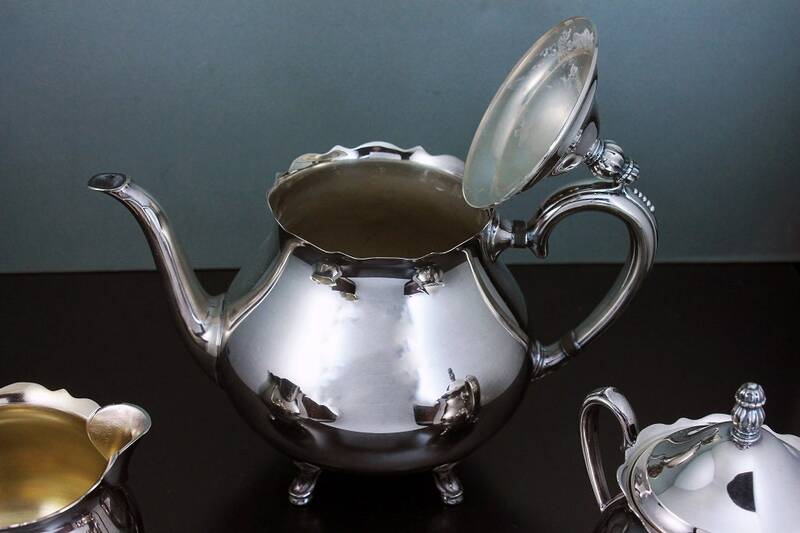 The silver is shiny and will add elegance to any party or event. 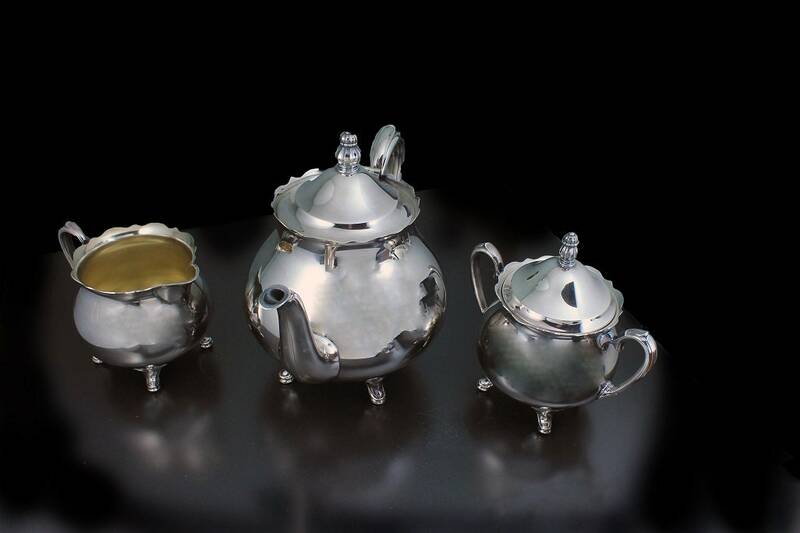 The set is made up of a teapot, sugar bowl with lid, and creamer. 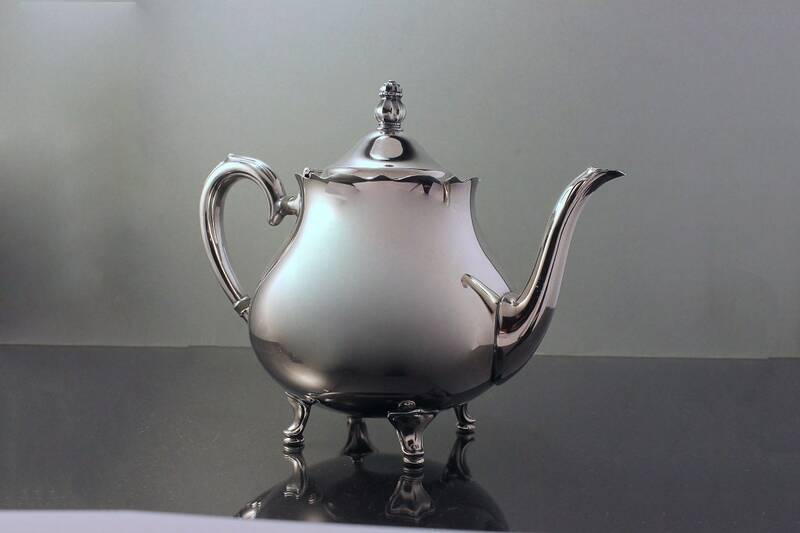 Fantastic for dinner parties, weddings, or special occasions. 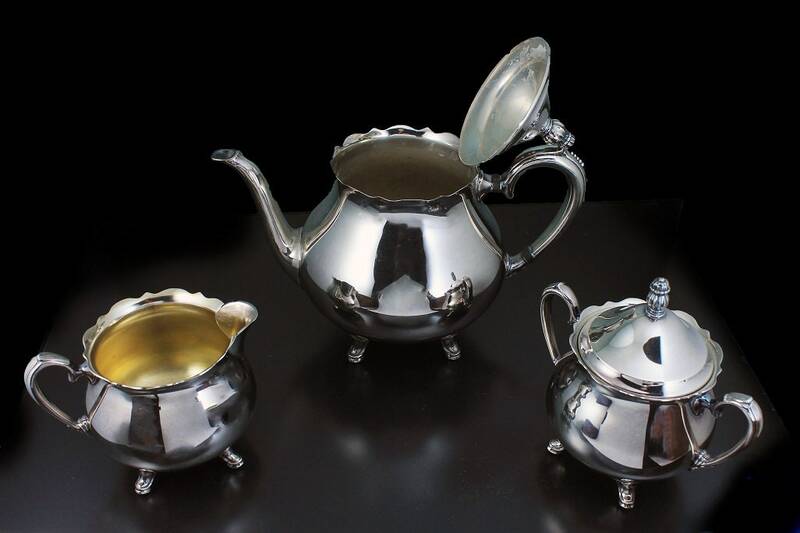 This set is very beautiful and would be perfect as a collector's piece, centerpiece, or gift idea for a wedding or special occasion. 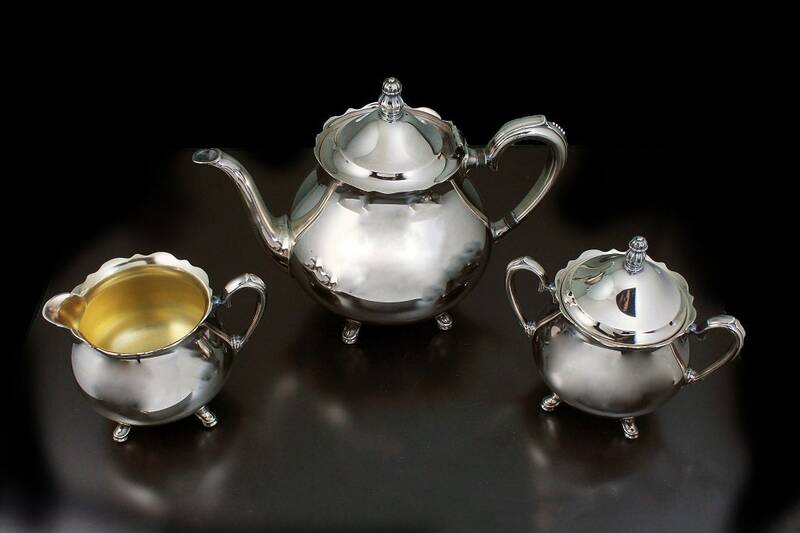 This wonderful and elegant set is in excellent condition. 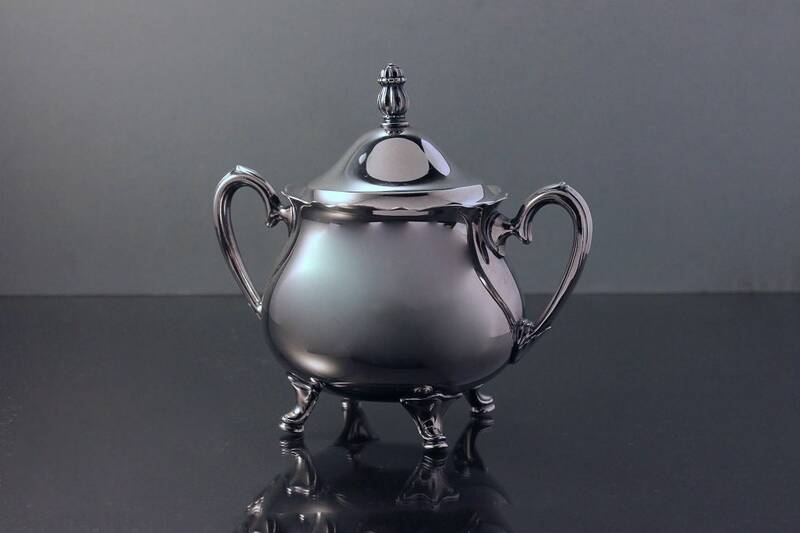 There are no pits or scratches beyond the minor rub marks from being used or displayed. The inside of all of these pieces is very clean. 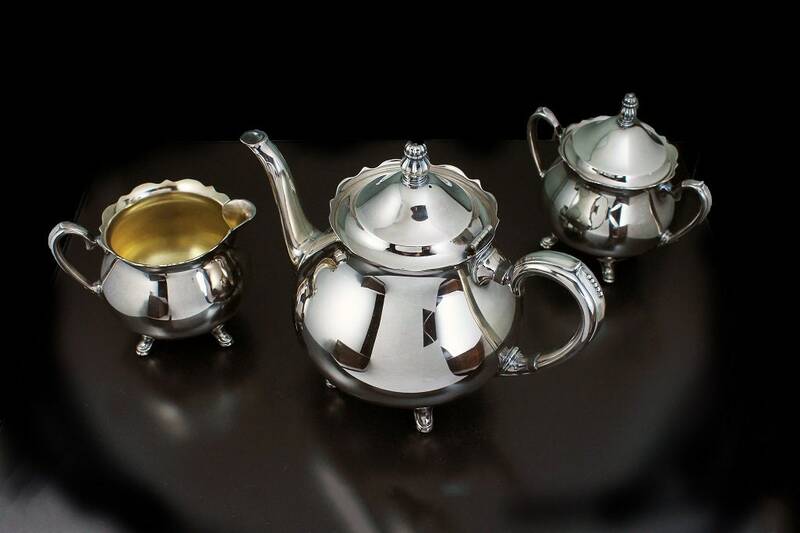 This set would be perfect for dinner or tea parties, holidays and other special occasions and would make a fantastic display set when not in use.